What’s it like meeting one of your favourite hockey players for the first time? Defenceman Danny DeKeyser has experienced that moment from both sides. It was a priceless moment between hockey player and hockey fan, something No. 65 is still smiling about. Detroit native DeKeyser, who grew up a Red Wings supporter, felt exactly the same way when he had a chat with his childhood hockey idol not so long ago. After garnering the attention of several NHL teams, the undrafted blueliner eventually inked a two-year contract with his hometown team on March 29, 2013. Prior to making his decision, DeKeyser received an unexpected phone call from a Red Wings legend and Hall of Famer. Cue the internal freak out moment. It was even better when he finally got to meet Lidstrom in person. 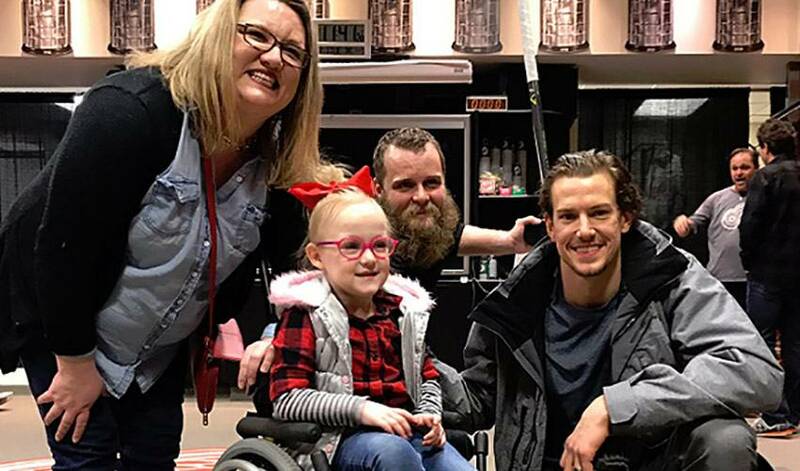 Despite being admittedly star struck, DeKeyser managed to keep his composure when he spoke to the former Wings captain, four-time Cup winner and seven-time James Norris Memorial Trophy recipient. It’s just the hockey player way, noted DeKeyser. There’s no doubt DeKeyser does. It’s safe to say she won’t either.